This is the last weekend of rugby before the clubs break for Christmas. Buck RFC ended 2016 with a 52-0 beating of Saints RFC. 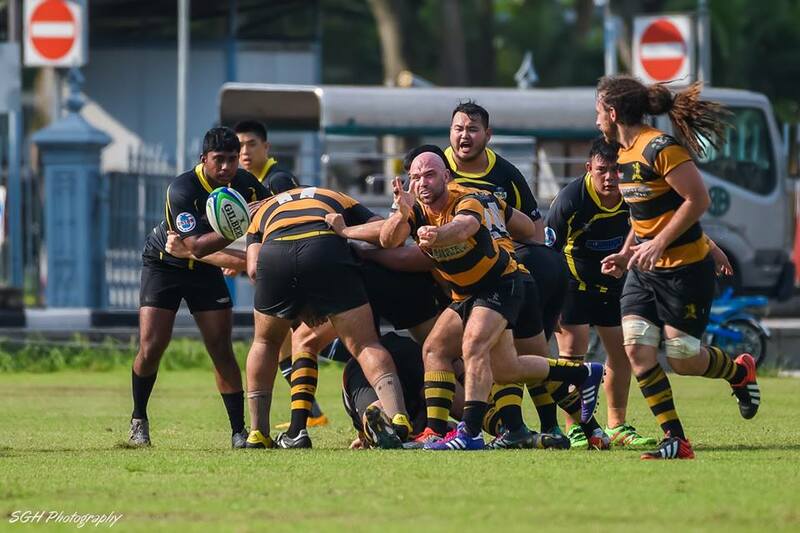 The Saints side was depleted with important players, notably Austin, Bernard and Ezekiel away with the Singapore U19 at the Asia Rugby U19 Championships forcing major reshuffling to the team. Bucks on the other hand were looking to make up for their previous loss to SCC and were out blazing putting in 8 tries in 80mins. It was a one sided game from kickoff with Bucks dominating the set pieces and being the more aggressive team at every breakdown. With the teams heading into the Christmas break, SCC, Wanderers and Bucks are leading the race for the Premiership title. Still undefeated, time will tell if Wanderers can defend their crown in 2017. The second week of the SRU National Women’s League saw a very experienced Skyllas 1 going up against their understudy Skyllas 2. Skyllas 1 had a rough start as they were plagued by several disciplinary issues which resulted in penalties against them. This disrupted their game and took some time before in-centre Emilie Flanagan finally broke the defence line of the young girls from Skyllas 2 for the opening try. After the break, Skyllas 1 regrouped and looked determined to end the game with a bonus point. Number 8, Lee Yi Tian of Skyllas 1 started the ball rolling by scoring from the halfway line twice in a row. The drive and passion of the young Skyllas 2 are commendable but it is obvious that they have to work on their fitness during the Christmas break. The game ended, 41-0 to Skyllas 1.